Our Amish Oak Wood Tic Tac Toe Game provides fun in a nostalgic way that you and your kids will love. What's the best part? This game will be passed down in your family for generations thanks to its solid construction. 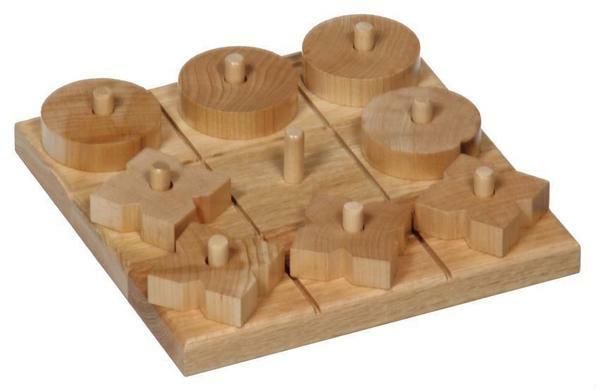 Do away with battery powered toys and go back to basics with our Amish Oak Wood Tic Tac Toe Game. This piece is made in solid hardwood and can be stained according to your taste. Please give us a call at 866-272-6773 to discuss all of your options.